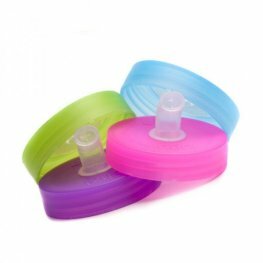 The Bubi Bottle is a silicone, puncture-resistant, BPA-free water bottle that is super durable and very travel-friendly. Throw it in your dive gear back, airplane carry-on, fitness gym bag, purse, take it everywhere. Easily rolls up to squish into even the smallest of space. Super easy to clean, just flip it inside out and throw it into the dishwasher. Add the optional Sports Cap to your cart and receive it for FREE! Well made. Convenient. Great product. I fill this on the other side of security and no longer spending ridiculous amounts of money for bottled water. Folds up so I can throw it in my purse or just clip it off to my bag. Also some dive boats offer drinking water but with a plastic throwaway cup! I bring this on the boat with me too.